Hey my loves! 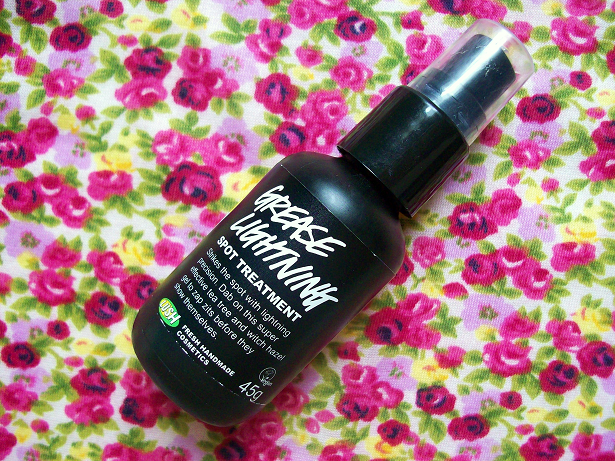 Today I will be reviewing the LUSH Grease Lightening Spot Treatment. I didn't own a spot treatment before this (at least not one that wasn't expired) so I decided to pick up Grease Lightening because I heard so many good reviews on it. Keep reading if you would like to see my opinion on this product. What it claims to do: "Strikes the spot with lightening precision. Dab on this super effective tea tree and witch hazel get to zap zits before they show themselves." - Gel consistency. I prefer gel products over cream products any day! - Crazy pump! Each time I tried to dispense some product it would fly all over the place! 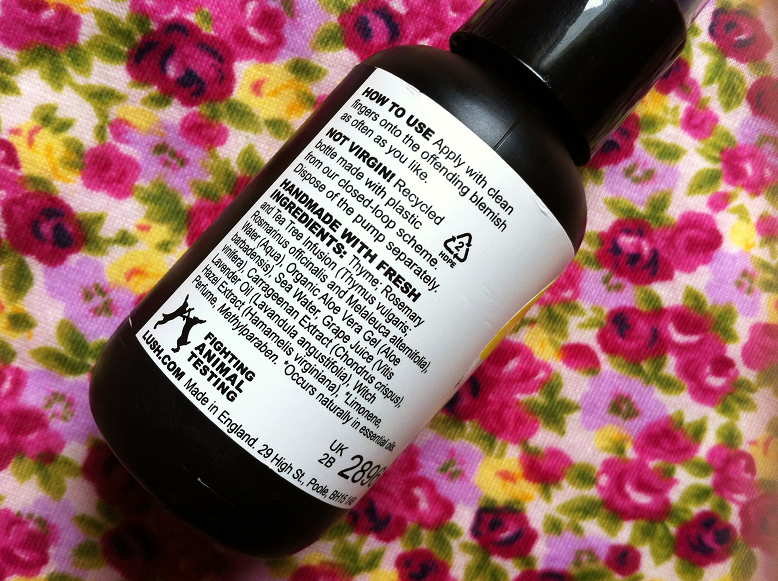 My experience: I had really high hopes for this product at first because many people seemed to love it but after using this for about 2 months I can say that this did nothing! I used this as a spot treatment for stubborn pimples but each morning when I looked at my face to see if anything had changed my pimples were still there. Only once did Grease Lightening actually work on me but every other time it failed. Aside from the actual product not working the dispenser didn't work either, it would shoot out too much product and would make a mess! I'm really upset that this didn't end up working because I am looking for a really good spot treatment. Would I recommend this someone? No, maybe if you have acne prone skin? I have normal to oily combination skin (more normal during fall/winter more oily during the summer) with no big skin problems and this didn't work on me. 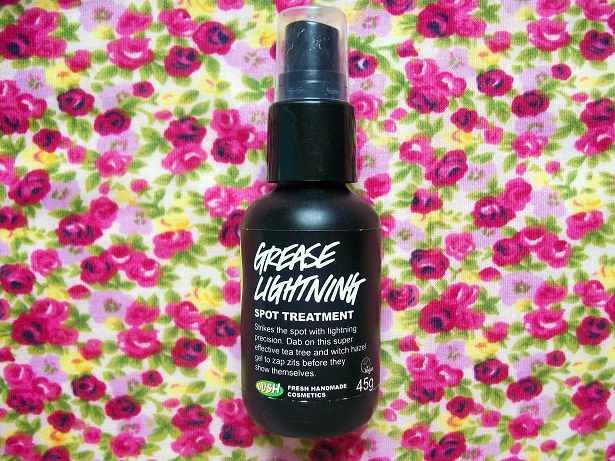 You can buy the LUSH Grease Lightening Spot Treatment here!